Transparency is one of the hardest things to come by on the Internet. What we are openly disclosing is that there are certain products and links to those products on this site that are part of an affiliate commission for any purchases that friendly visitors like you make. This does not take away from the goal of the site and my dedication to educate you and in turn help you succeed. However, keep in mind that just like you, I do activities in my life that are for profit. If you are on this site you are probably doing the same and I encourage you to as well as long as you only recommend products that will help others reach their goals. Due to the current growth and future growth of the site please do consider any products on this site to be affiliate recommendations. Although this is not the case, let’s just go with that thought to be on the safe side. Keep in mind though those products I recommend are ones that have either use now, have used in the past, have been reviewed or are suggestions from reliable resources. By all means please do let me know if there are certain products that you recommend and will deliver value to me and others trying to reach shared goals. If you have any questions please do not contact us. 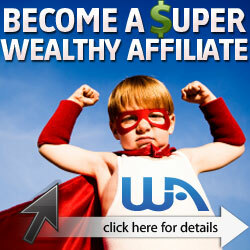 It will help us to ensure that I am suggesting the best products for your success and others.